Though we did not get to compare the TC-P60ZT60 next to the Samsung PN60F8500 we did get to compare the TCP60ZT60 next to the TC-P60VT50 from last year which was a favorite of ours in many respects, especially black levels. And the TC-P60ZT60 is far and away again better than the VT50. Impressive, just when you thought you were about at pitch you run into even more vast improvement in black levels than you though imaginable. Colors really pop off that pure black screen. The increased contrast adds detail you cant believe. The appearance is still excellent with the glass and metal design very much like last years model. There is the addition of a front facing camera built in, and voice recognition software that speeds browsing. The Swipe and Share and pen touch features are extras. 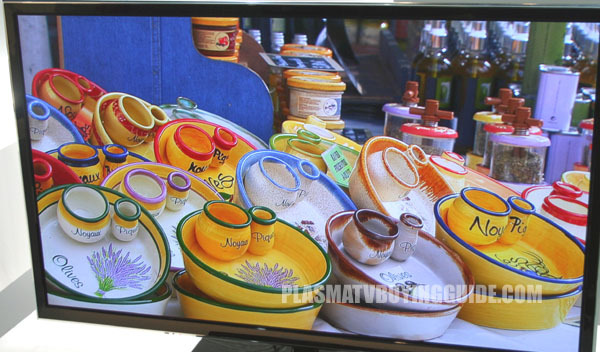 Sometimes there is not much difference between the top of the line plasma and the models under it, but that is certainly not true of the Samsung F8500 series which is a serious standout model in Samsung's line. It has 4 times the depth of black level as the 2012 E8000 model due to lots of effort by Samsung to increase the contrast. 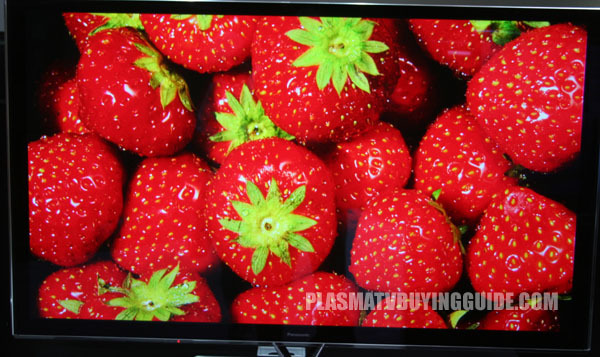 In fact, the white and brightness levels of this TV is also almost equal to that of their best LED TVs and overall contrast is around the same. You get the forward facing retractable camera and the very much improved voice recognition software which aids in browsing but also in content searches. It's now a useful feature for everyday use it's so much improved. 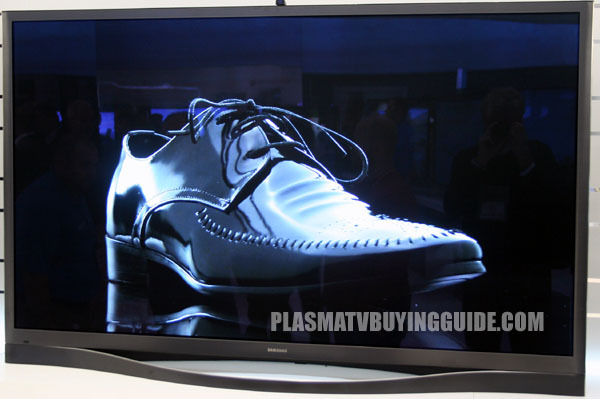 The appearance of this TV is also greatly imroved with the metallic magnum design (where do they come up with these names. The super contrast panel is only included on the F8500. The ST60 is back replacing the ST50 and will give you the best value out there not only in plasma TVs but in any TV in the market - a great combination of quality and price. It has most of the best features both with regards to picture quality and features. The 2500 focus field drive, infinite black pro panel, and swipe and share features are highlights.